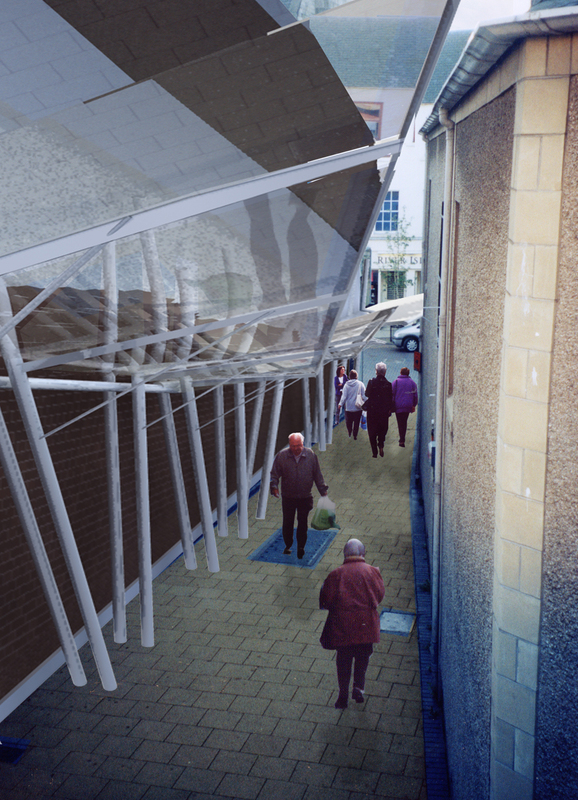 This study was undertaken for Scottish Enterprise in conjunction with the principals set down in the Kirkcaldy Urban Framework produced by William Tunnell and Cadell2 Architects. 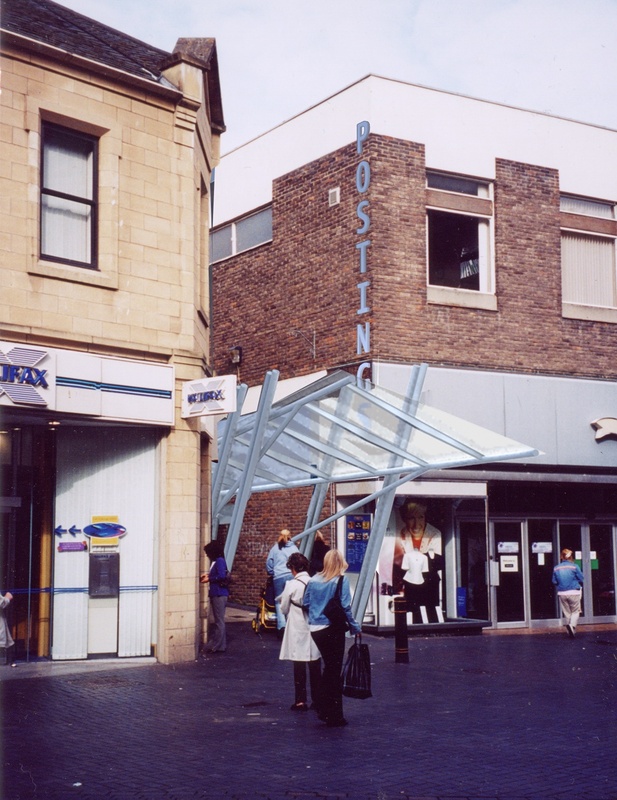 A series of sculptural glazed canopies along the Wynd, with existing shops opening up new windows to it and small retail units along the length of the route. New steps, ramps and landscaped terraces improve the access and aspect of the adjacent shopping centre. Yet to receive full funding.